Why do some sandcastles collapse, while others stand proud? 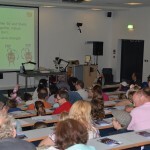 How can you ensure that your sandcastle is the talk of the beach? More to the point why do we build sandcastles at all? 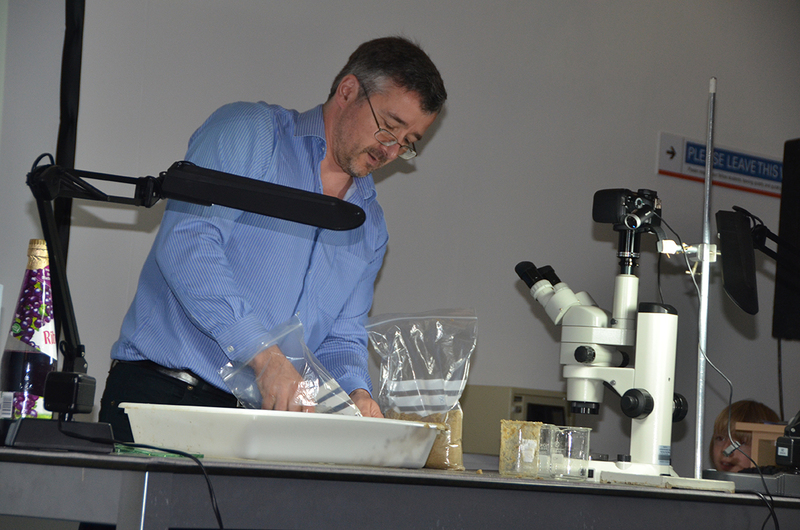 Where does the sand come from and what can it tell us? 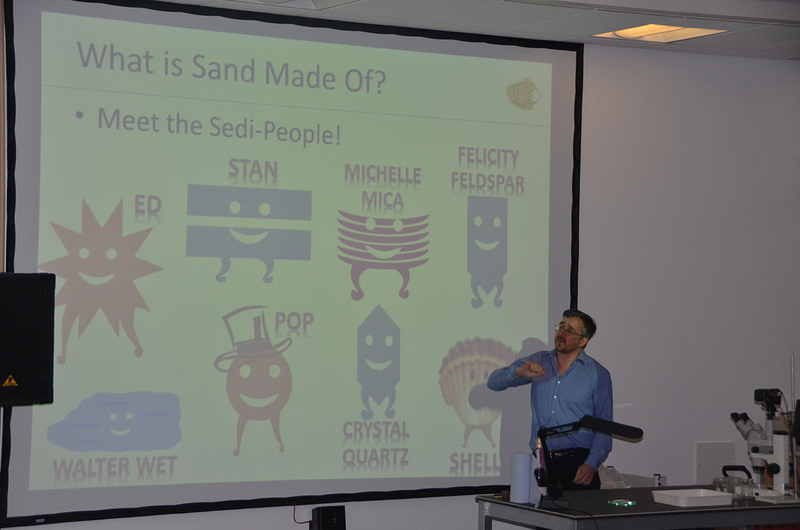 Professor Matthew Bennett, dubbed ‘Professor Sandcastle’ by the media, shared his enthusiasm for sand, its history and its properties as well sharing his formula for the perfect sandcastle! 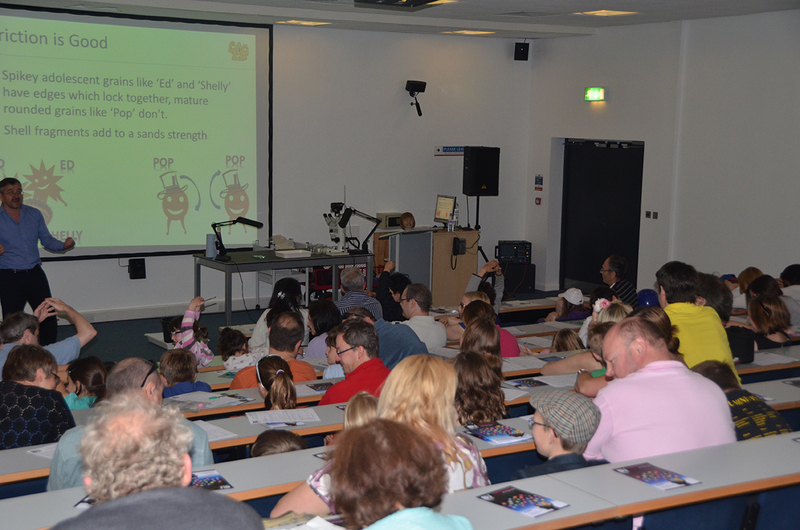 Combining fun with science, this lecture as part of BU’s Festival of Learning in 2013 was packed with experiments for all ages. 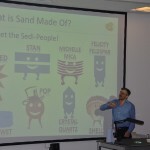 Professor Sandcastle himself (aka Professor Matthew Bennett) told us the enthralling story of sand and introduced us to the big and little ‘sedi-people’ who make up sand, which is especially wonderful along Dorset’s Jurassic Coast. 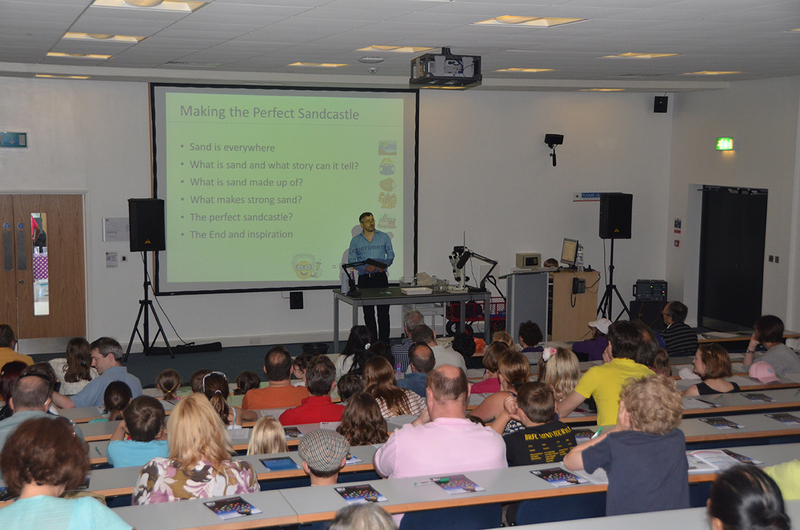 Matthew used the audience to demonstrate the importance of size, shape, friction and water in making great sand. 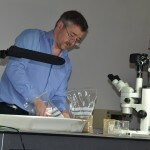 He explained the physics behind making glass sheets stick together with just water and how water can go uphill, revealing how these scientific feats are vital for having fun at the beach. Using samples of local Bournemouth sand, we worked out the best proportion of sand and water to make that perfect sandcastle. Staking his reputation on it, Matthew told us all the secret of the perfect mix but sorry, you had to be there…. Now, where is my ice-cream? 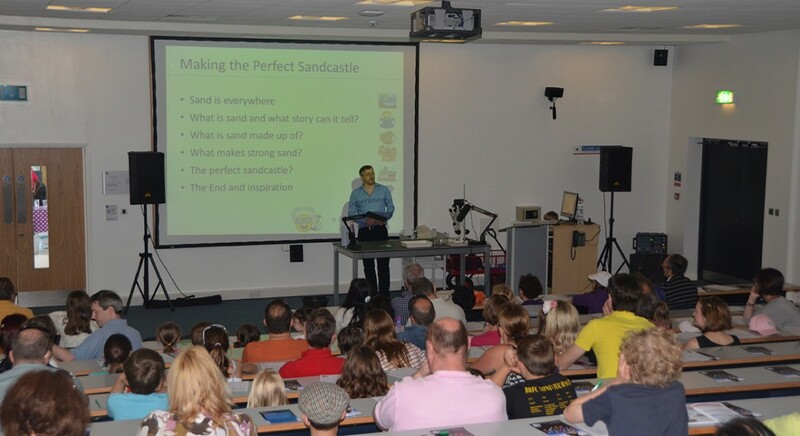 Learn more about why Professor Bennett has perfected sandcastle building on the Bournemouth University News site and find out which beaches are the best for sandcastle building on the BBC News site.